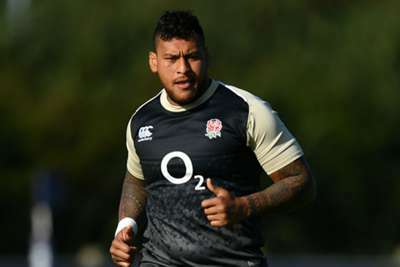 Nathan Hughes will miss three of England's four November internationals after being banned for six weeks for punching Lewis Ludlow during Wasps' Premiership clash with Gloucester. Hughes appeared before an independent disciplinary panel on October 10 but the extent of his punishment was delayed due to an outburst on Twitter. The forward pleaded guilty to the charge of striking an opponent at the initial hearing, and that would have brought a "mid-range" sanction of four weeks. However, the 27-year-old took to Twitter after the hearing was adjourned, posting "what a joke". That broke an agreement to stay off social media, something that Wasps had also made clear to the England international, and at the reconvened meeting Hughes admitted he had only pleaded guilty on legal advice. Any goodwill towards Hughes for his original plea was wiped from the record and he was handed the maximum six-week ban. The sanction means Eddie Jones will be without Hughes – who has 17 caps – for the matches against South Africa, New Zealand and Japan at Twickenham, having already lost several key men to injury. Hughes will be cleared to play again from November 20, meaning he could feature in England's final match of 2018 against Australia.